Marinette is a high school girl often pushed around by her peers, especially when the handsome new student Adrien enters. Mysterious gems are released, and Marinette obtains one. So does Adrien. The gems give them superpowers and costumes, transforming them from ordinary teenagers into Lady Bug and Cat Noir, There are other gems out in the world, and anyone that obtains all of the gems would have absolute power. Hawk Moth's gem allows him to transfer a bit of his power into devoted followers, so he decides to imbue followers to become super villains to draw out heroes. Once he captures them, Hawk Moth intends to collect the gems and keep them for himself. 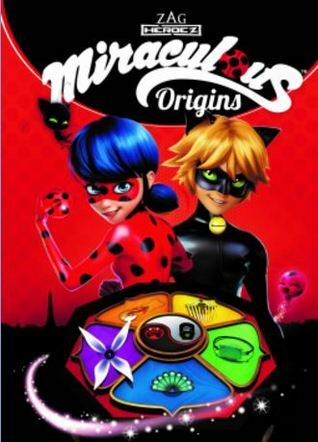 Based on the ZAG Entertainment TV show, the manga tells the story of how Lady Bug and Cat Noir first became superheroes. Much like the show, the manga focuses on the heroics of Marinette and Adrien in their alter ego form, as well as the high school drama. They learn important lessons about being courageous and fair and learning to understand how others think and feel. Much of the artwork is drawn from stills of the show, which will delight fans. As a very graphics-intensive early pdf copy, however, pages loaded very slowly on my computer. Still, it was worth the wait and was a great way to recap the series and early episodes (which I had missed).